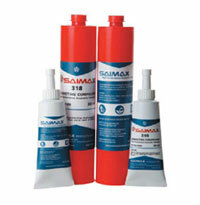 Saimax also has products in store for liquid gasketing. Liquid gasket product meets domestic requirements and imports automotive specifications for the manufacturing and service applications. Liquid gasket compounds offer significant performance advantage over conventional molded gaskets method. These sealants flow to cover the entire surface, ensuring that all surface irregularities are coated. Saimax gasketing sealants then cure to a tough elastomeric rubber which contains no voids and prevents leakage from gases or fluids. Saimax gasketing products include Silicone as well as Anaerobic chemistry. Automotive Specified: High temperature flange sealant specially designed for rigid assemblies. This sealant fills gap up to 0.020” and allow clamping loads to be maintained for strong leak-proof assemblies. Applications: Transmission pans, engine cases, timing covers, water pumps, thermostat housings, transmission case covers, transaxle casings, o-ring replacement, etc. 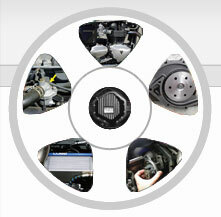 Automotive Specified: Eliminates conventional preformed, pre-cut, paper, rubber and cork gaskets. Flexible joints with flanges which moves in service. Flexible sealant for the rigid flanges with less than 0.015” gap. Automotive Specified: Specifically designed for on the- spot and emergency repair or when a conventional molded gasket is unavailable. This non-corrosive gasket maker fills gap up to 0.015” and cures to excellent fuel and solvent resistance. Automotive Specified: This gasketing materials seals close fitting joints between the rigid metal faces and flanges. This grade offers low pressure resistant immediately after assembly of flanges.